Home > Internet > Do Social Networking Sites Violate Your Privacy? 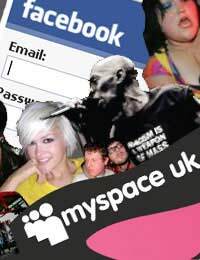 Social Networking sites such as Facebook, MySpace and Bebo have become increasingly popular in the past few years, and millions of people in the UK and worldwide have some kind of social networking account. Scare stories appear in the news at regular intervals, blaming this type of site for antisocial behaviour, gate crashed teen parties and sometimes abusive comments about school teachers, even supermarket customers. Like anything related to the Internet, social networking has its downside. But is it actually violating your privacy? One Canadian pressure group believes that it is, and has started legal action against the founders of Facebook, based on what it claims are 22 separate breaches of privacy law in Canada. Facebook has rejected the charges, and claims that as a site it actually has some of the highest standards for this type of website. It was alleged that Facebook collected sensitive personal information about the users of the site and shared the information without asking permission. It was also said that Facbook failed to tell its users how their information was going to be used and also that it doesn’t destroy user account information once they close their account. Can’t you Just Change Your Privacy Settings? Although changing your privacy settings will give you a certain amount of protection, if your friends haven’t got the same levels of security you could still find that some of your information can leak out through a third party. Applications can cause your information to become more widely distributed too, as adding a third-party application means that you have to allow the application (and it’s developer) to gain access to access all your information just to get the application to run on your account. This information will be shared with advertisers – ever wondered why the ads on your profile seem ‘targeted’ to your likes, dislikes, marital status and other personal details? It doesn’t happen by accident. The organisers of the campaign, The Canadian Internet Policy and Public Interest Clinic aren’t exempting other social networking sites – they chose to take action against Facebook just because of its popularity, especially with younger users who might not be so savvy about the risks of giving too much personal detail away on the Internet. It’s mostly common sense. If you’re a member of a social networking site, keep the details that identify you to a minimum. Don’t post your home, or work address, personal email or full date of birth. Even on work related social networking sites, keep the identifying details to a minimum. You don’t need to post your full C.V, and certainly delete any reference in it to your date of birth and address. It’s screamingly obvious but the more information you give away on your profile, and also in wall posts and any other type of public post, the more open you leave yourself to scams, annoying spam and even identity theft. Change your search settings from 'everyone' to 'friends of friends' and un-tick any 'view my friends' options. If you assume everything you post is on public view and permanently recorded, you might think carefully before you give too much away. We are a small charity promoting physical activity with a limited number of images. These have always been taken knowingly by all participants. One member is now retrospectively withdrawing consent to use their image which will seriously hamper our advertising. Can they do this?